Its time to wear you logical reasoning cap. This is a tough Math Logic Question. 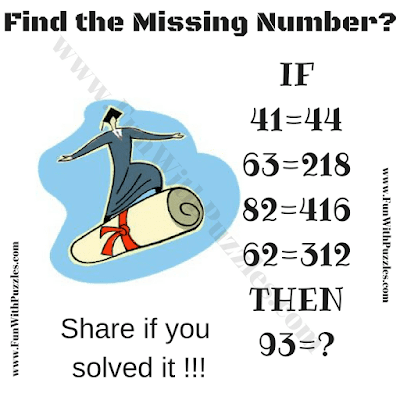 In this Logical Picture Puzzle, there are some number equations given which may look wrong Mathematically but these equations are correct logically. 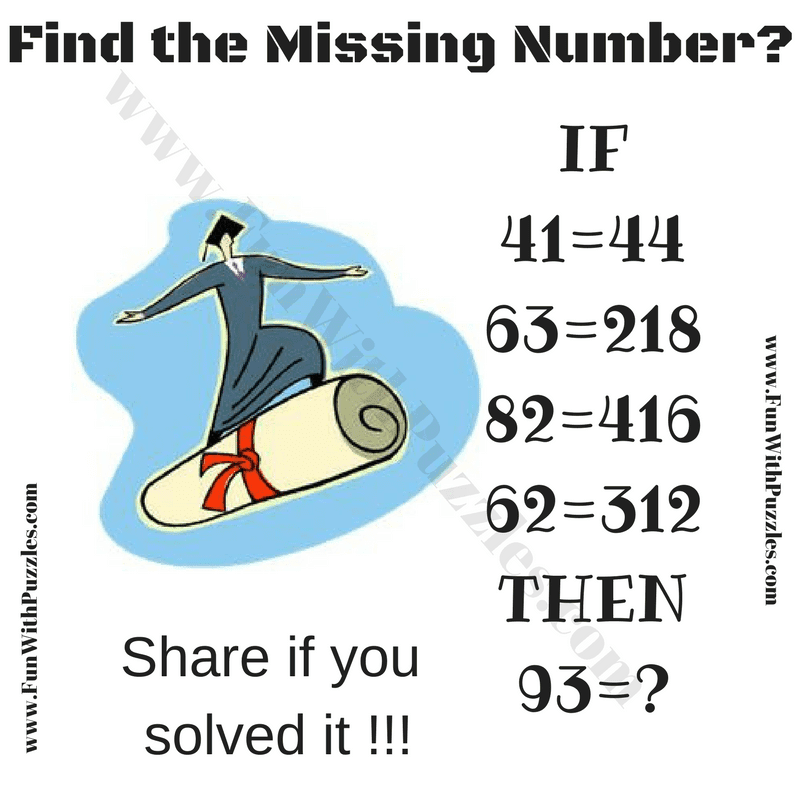 Can you solve these logical equations and find the missing number? Can you solve this tough Math Logic Question? Answer of this "Tough Math Logic Question", can be viewed by clicking on button. Please do give your best try before looking at the answer.